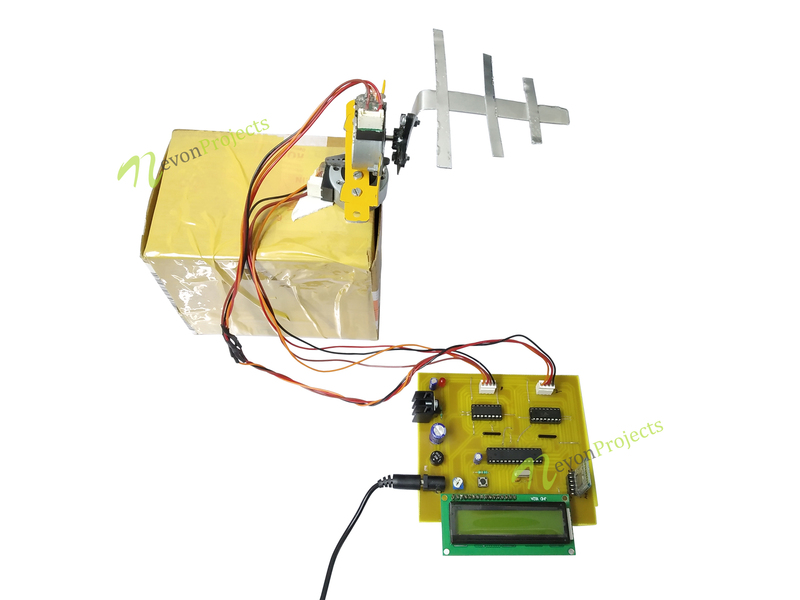 This Android Based Antenna Positioning System is very innovative system as it helps to position the antenna with the help of android application. This helps the antenna to point straight towards the sending signal device so as to capture the signal. For this the system uses 8051 family microcontroller and LCD screen. This LCD screen is used to display the status of the angle of the antenna. The system makes use of stepper motor to demonstrate as the antenna motor which is used to move the antenna in proper direction. 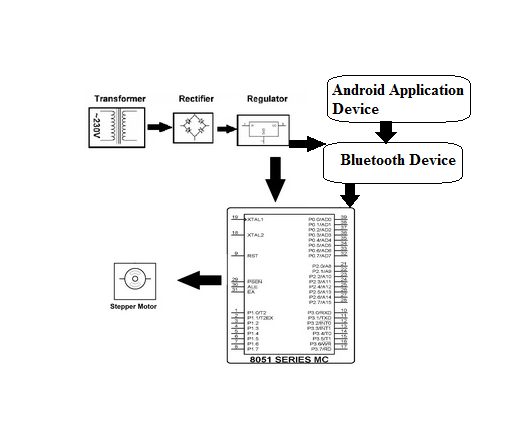 Antenna is moved by the user commands received through the android application. This user commands are then received by the bluetooth receiver modem. As the system receives user commands, it moves the antenna on the basis of input parameters provided. The input parameters include number of steps i.e. the angle in which the antenna is to be moved. The second parameter specifies whether to move the antenna in clockwise or anticlockwise direction. The third input parameter specifies the speed in which the antenna should move. The speed parameter includes L for low, M for medium and H for high speed. The whole system is powered by the 12V transformer. Thus with the help of this system, we can now move the antenna direction in order to point straght towards the sending signal device so as to capture the signal properly.